Many people practice meditation and prayer and it would be a wonderful addition to helping others if we give time to those needing help or support. 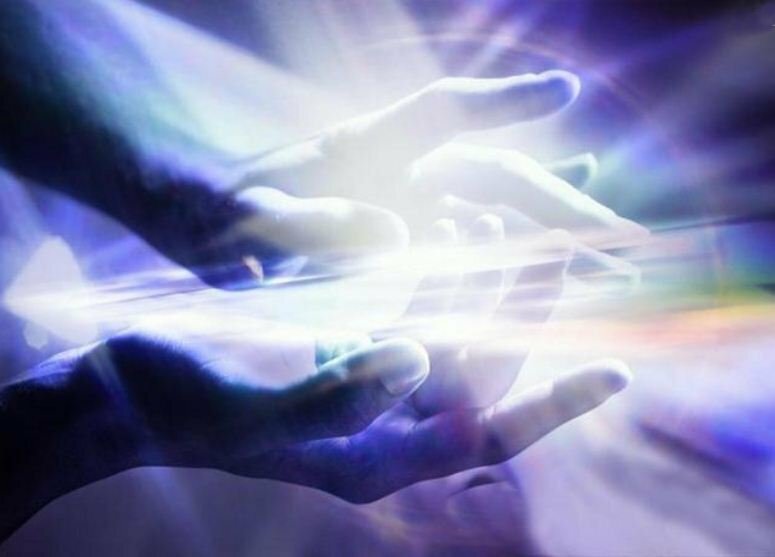 All it takes is for those giving help in this way to hold in mind the hands reaching out during their meditation or prayers – and for those in need of help, or support to open themselves to the helping hands. Any pleas for help or comments can be left here as a post. Hands are wonderful communicators without any words spoken. 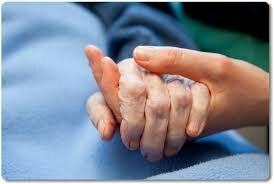 When I was working as a nurse in a geriatric ward, an elderly man who didn’t seem particularly ill, called me over one evening and asked my to hold his hand. So I sat by him that evening and without words held his hand. That evening he died, and he must have known he was dying. He had no relatives to visit, and so he called out for the presence and touch of another human to be with him. We don’t need to believe we are healers or any wonderful thing to stand with someone who faces life’s ever changing events and put our hand on their back or hold their hand – we just need to be a human being. I need help finding my way back to life and working at something that feeds my soul. I have had a rough 40 years. Please add me to your circle of thoughts. I want and need to get intoa positive or good place. Ada – It is much easier to get your book published now than ever before. So start writing. Work hard to get it all written in a way people can understand and get something from. It helps to see how others do it and compare and then improve. Tony – I like to improve your answer. I do not know how old you are Ada, or what you expect from writing a book like that? Generally people do not like it when their work is improved (or refined or undone from errors made), for it also means that you question, directly or indirectly, part of their thought and belief system. When you do not support part of their thought and belief system, you will weaken it and their ego will perceive that as a threat most of the time. I wonder what it is you cannot love in your family members and if what you cannot love in them, is something you find hard to accept in yourself? This could refer to some past attitude of yourself as well, for which you still need to forgive yourself. This old attitude from you could be “dramatised” – as often happens in night time dreams too – by your family members, to make sure you will not miss it. I suggest Ada that you write, compare and then improve for yourself only, for by helping yourself, you help “others” indirectly too. I would like to be part of Helping Hands. I practice prayer. I strongly believe that prayer works. I believe that I am also a “Christian intuitive, a follower of Jesus Christ”. I have had many experiences… matter a fact, that is why I came to your site. Ernestine. so so in need healing for terry e james…doc mess up an he has to pay for it.. a healing for his cancer.he is so open in his heart not to give it . Cole I have put your request in a place many people can see it and respond. We send our best to Terry. The note below is from my wonderful friend, Charla Shamhart. She and her husband have been selling native american books at pow wows for many, many years. They are lovely people who have dedicated their lives to serving others. Charla is now seriously ill and has asked for our prayers. Please read her latest post below and add your prayers for her recovery. Thanks to so many of you who wrote in support of my health. I spent Tuesday at the ER of Eisenhower Medical Center in Rancho Mirage getting my heart checked. My heart is fine, but the leukemia medication was causing chest pains. but without the medication, most people die in 3-5 yrs. but this chromosomal leukemia is a real tough nut to crack. that says “make white blood cells and make them 24/7”). This is why you have had so few powwow emails from me this year. PRAYER is what I need most right now. Creator can lift us up beyond the aches and pains of the physical and heal the spirit. and that cellular memory got reactivated by a minor but traumatic auto accident in mid 2007 causing the chromosomes to break. We have some great new books and music. that has an oversize space like us due to the space constraints of the arena area. See you at the powwow. DearT, Thank you for putting up this Healing page where we can come together in prayer and meditation for one another and the universe. My friend Fred, passed away peacefully Monday night, with his wife and son by his side. It is very sad, yet, it is an affirmation of the human spirit that Fred was joking around and playing tricks on us even into the third drip bag of morphine. I am so grateful I got home from Italy in time to be with him for those last powerful hours. I hope more people find this site. Perhaps it should be over in the Health and Healing section…just a thought. As always, thank you for letting me stay close beside you. It strengthens and steadies me. My dear friend Fred Brown has just been put on hospice care in Los Angeles. He had surgery yesterday to correct complications from a previous surgery for esophogeal cancer. He has one son,Nico,13, and an ex-wife who is caring for him. He is estranged from his 2 remaining living brothers. I know you are both powerful healers and I ask you to call on your angels and spirits to ease his journey as well as his loved ones. I have taken him into the GreyWolf Lodge and will be caring for him there. Also Dakota has asked if we can have a section in the Forum for Healing dreams. And this has now been placed in the General Category section of the Forum – http://dreamhawk.com/forums/index.php .